The European Peacock (Inachis io), more commonly known simply as the Peacock butterfly, is a colourful butterfly, found in Europe and temperate Asia as far east as Japan. Classified as the only member of the genus Inachis (the name is derived from Greek mythology, meaning Io, the daughter of Inachus). It should not be confused or classified with the “American peacocks” in the genus Anartia; these are not close relatives of the Eurasian species. The Peacock butterfly is resident in much of its range, often wintering in buildings or trees. It therefore often appears quite early in spring. 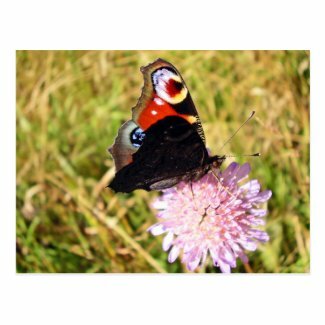 The Peacock butterfly has figured in research where the role of eye-spots as an anti-predator mechanism has been investigated. 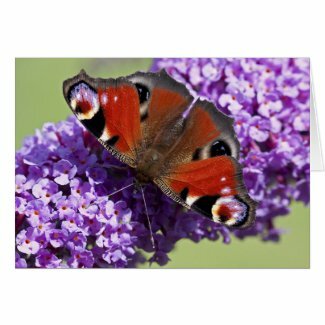 In the British Isles, the butterfly is found in England, Scotland (including Orkney and Shetland), Wales, and Ireland. The Peacock is expanding its range and is not known to be threatened. 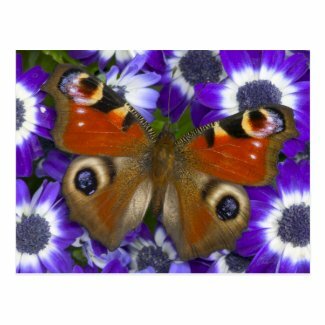 May I present the most beautiful Zazzle products with this pretty butterfly on them? Some are made by me, some are made by other Zazzlers. 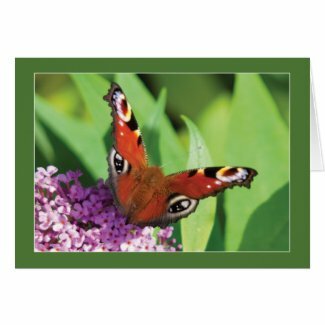 Try Zazzle’s custom postcards printing. 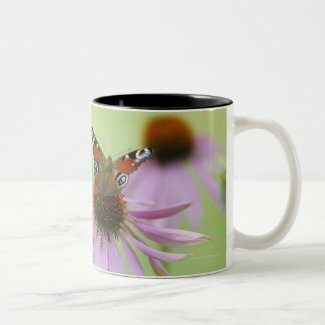 Get the best in mug printing from Zazzle. Shop for more iPhone accessories at zazzle.